Spent Tuesday setting up a piece for a Livestream broadcast and Wednesday evening did the 1st broadcast test piece via Livestream and my website. There were some technical glitches with the camera due to low battery power and trying to get adequate lighting levels. 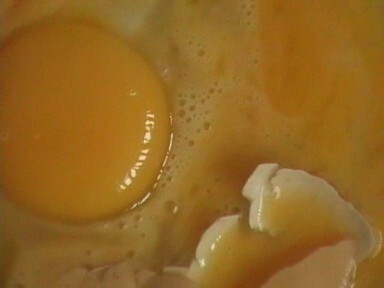 I did a repeat of ‘walking on egg shells’ as it was a contained piece, and fitted the constraints of the space I had to work in needing to be close to the computer and could only arrange set up within the range of the USB connection of the video camera to computer. It was a different experience knowing there would be a live audience and I felt nervous due to a different level of accountability. 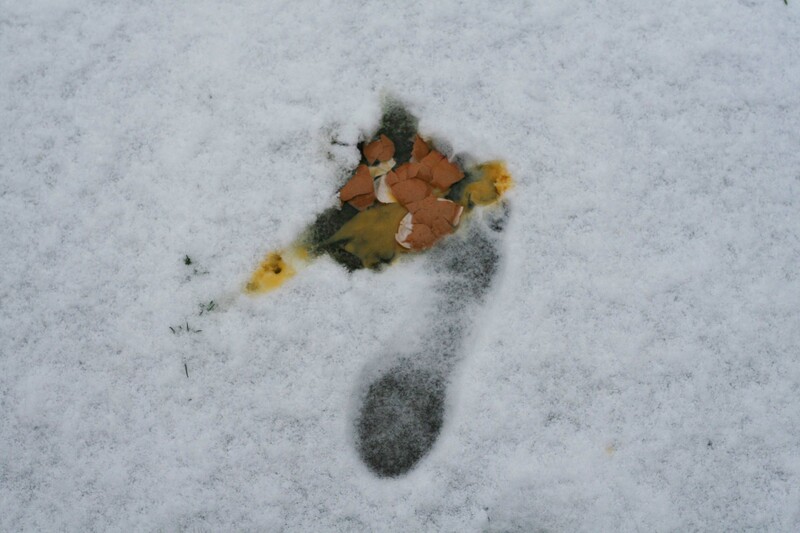 ‘The expression ” walking on eggshells” suggests the extreme tension and fragility of a situation likening it to the physical impossibility of walking on eggshells while doing as little damage – ideally none at all – to the eggs (or to the feet). 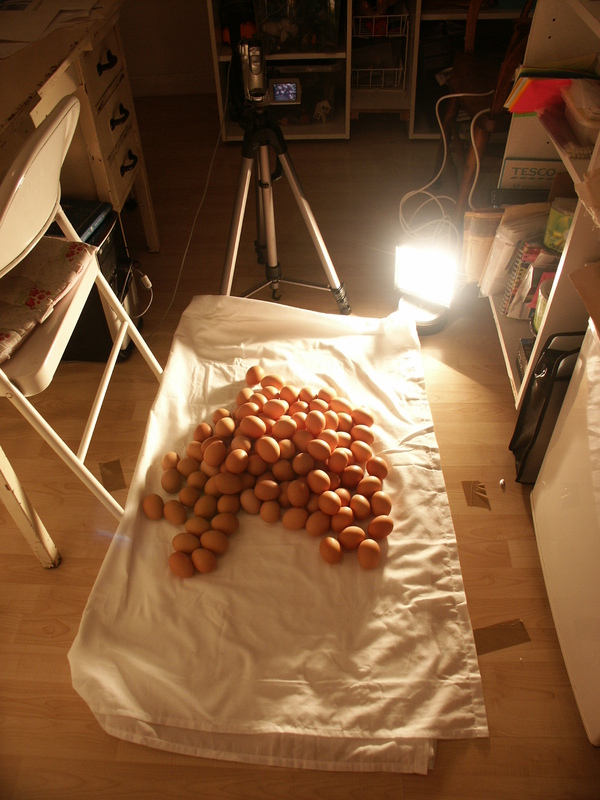 Rather than trying not to break eggs the feet and their owner in this film seem to be interested in the actual physical effect of this action. 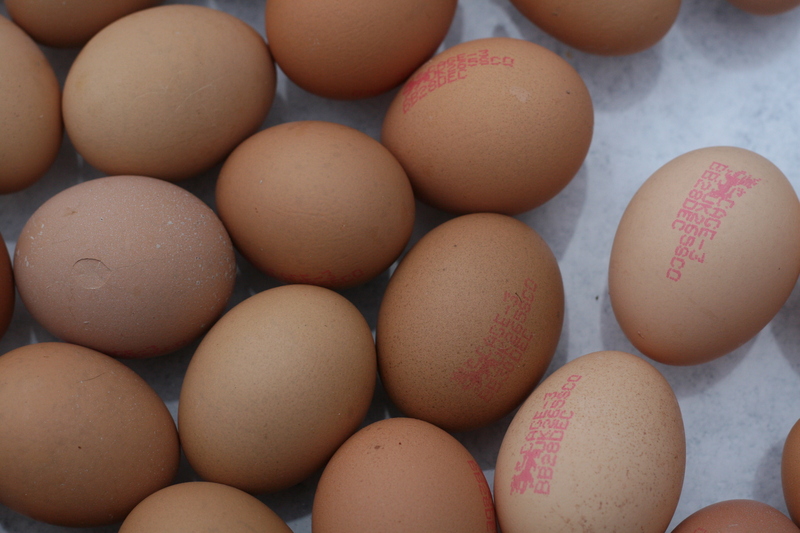 The physicality of the eggs – their weight, their balance in the pile and the curved, brittle, slightly uncomfortable feeling of eggshell against eggshell changes inevitably as the eggs are stepped on and the physical focus moves from that of the eggs to the sensation of the feet squashing them – extremely satisfying, go back a couple of times for eggs that have been missed the first time round – and that of slippery sticky eggy liquid squishing in-between toes and round the feet. In the action the sense of discomfort is not, as in the expression “walking on eggshells”, of an atmosphere of tension and fragility, but is much more physical. 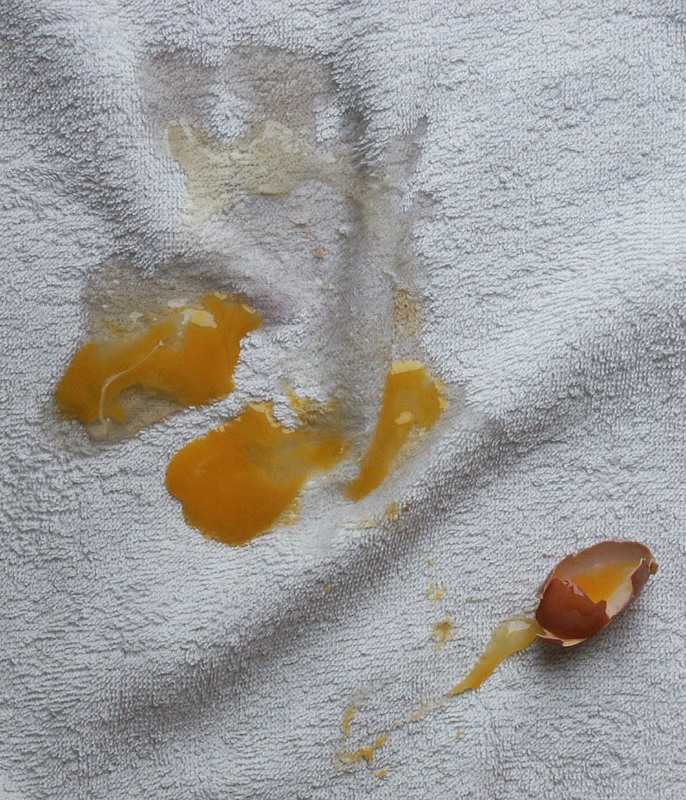 It is in the slightly double-edged feeling of having squishy raw egg round ones feet – pleasant and yucky at the same time; in the small sharp shards of broken shell that might hurt or cut the soles of the feet; and also a background noise of “afterwards” and having to clear up. There were some issues with the level of pixilation in the broadcast piece. Not sure if that’s down to a problem with bandwidth, video camera, or the type of Livestream package I am on so now need to do some more research in to Livestream. Also need to think about camera angles in relation to moving round such a limited space and expanding the set up. Also need to engage with the rationale of the final piece but now have an idea for a follow up piece to test ideas out on. Tried out more video this week. Finding Vimeo’s restrictive with its weekly file size and up load quotas because would like to publish several video clips weekly as it helps me to think about the choice of shots and editing sequences. So considering going for the WordPress video upgrade over the next couple of weeks hoping this will give me more flexibility with uploading video. After viewing the snow video clips I was looking at stripping back the visual information contained in a piece to make it more focused as well as including acts of stillness. One is of repetitive walking, and the other based on walking on snow and ice over in sequence of several days as the snow melts. Digital media allows rapid fire change of output, from a live act to video, edited video sequence, photographic stills, and printed matter. It offers a lot of choices. Think this issue in some way is important for the project. This is one of my understandings of digital media that it facilitates these transitions. The printer finally broke down over Christmas in the middle of printing the Mail Art special edition for the Long Gallery show in Glasgow. Waiting to collect its replacement in the next day or so and get back on track. 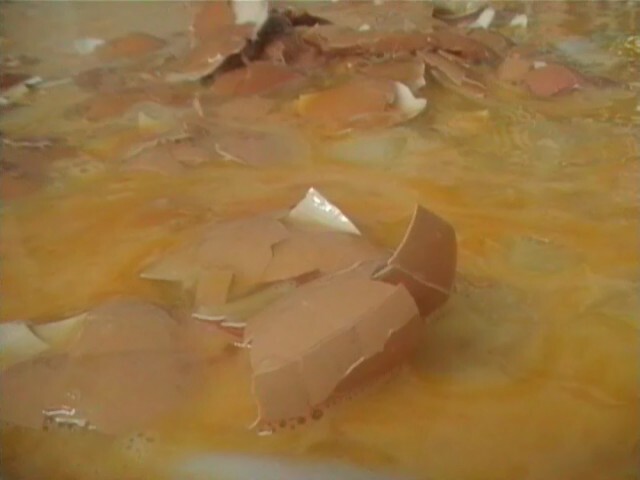 There is the physical shock experienced when breaking an egg which gives the impression that there is more emphasis achieved than in the photographs. 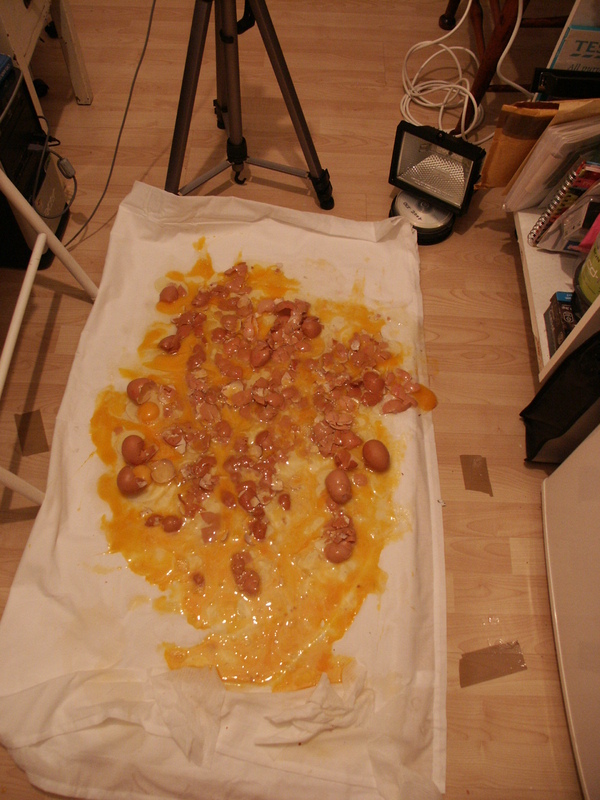 It still feels quite difficult to ‘waste’ food.